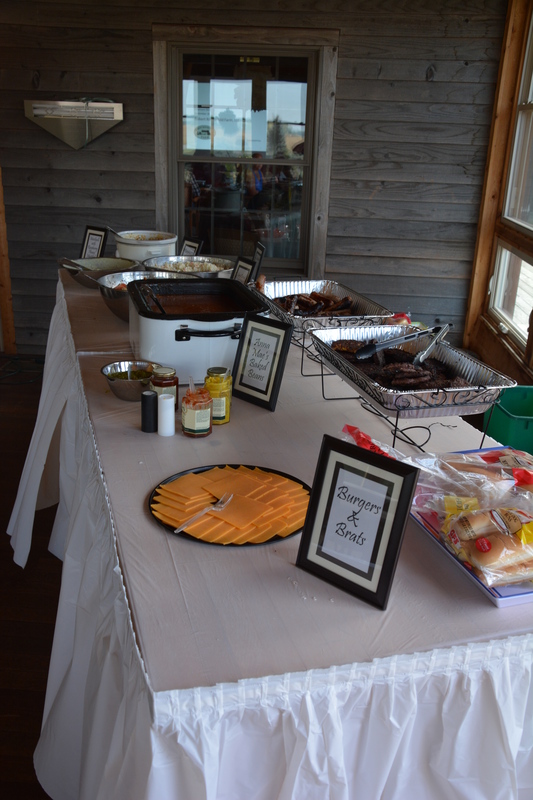 We recently threw an Employee Appreciation Luncheon and Harvest Party for all of our employees at Robert Rothschild Farm. 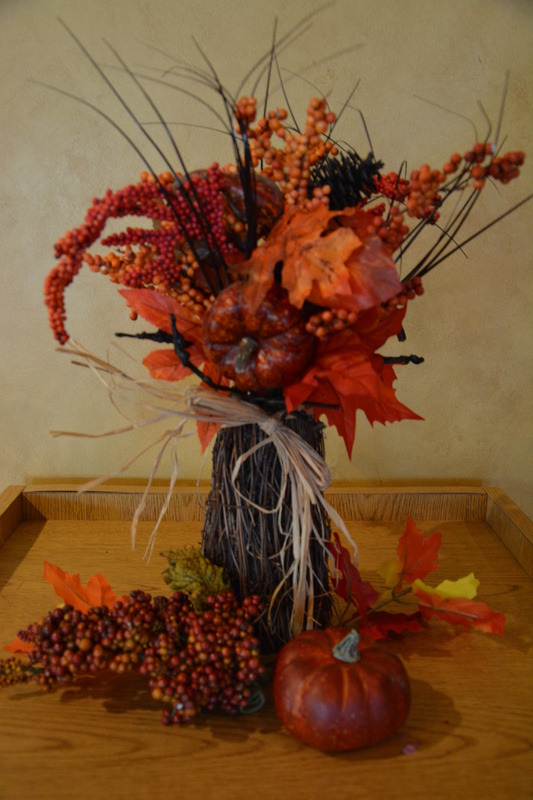 We hope that our decorations and menu may inspire your harvest gathering or other fall-themed plans! 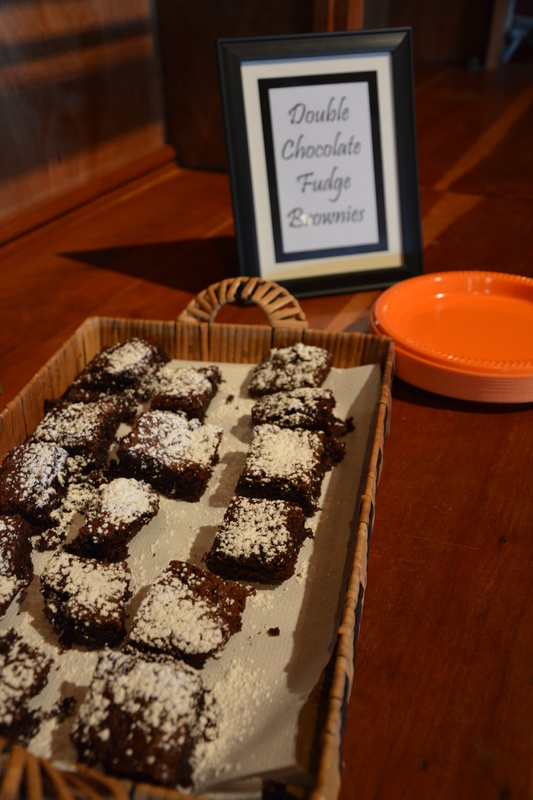 Try serving brownies in a beautiful tray. Picture frames make a unique and re-usable way to label food. 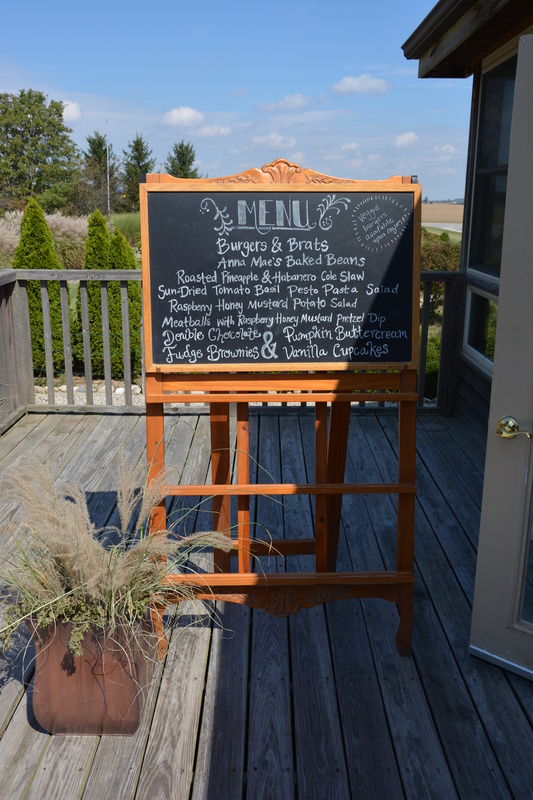 We placed our entire menu on a chalkboard easel for easy display. It was a big hit! 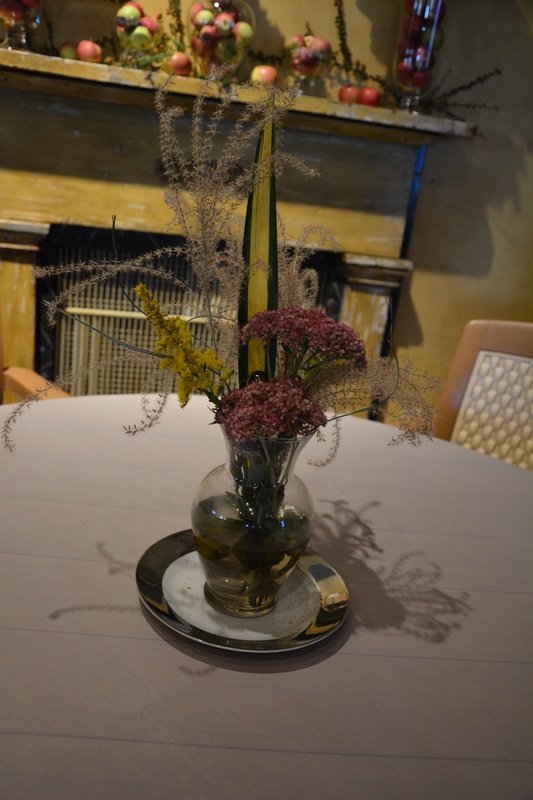 Our centerpieces were made from grasses and flowers found on our farm. We love incorporating our farm into as much as we possibly can, and they turned out beautifully! 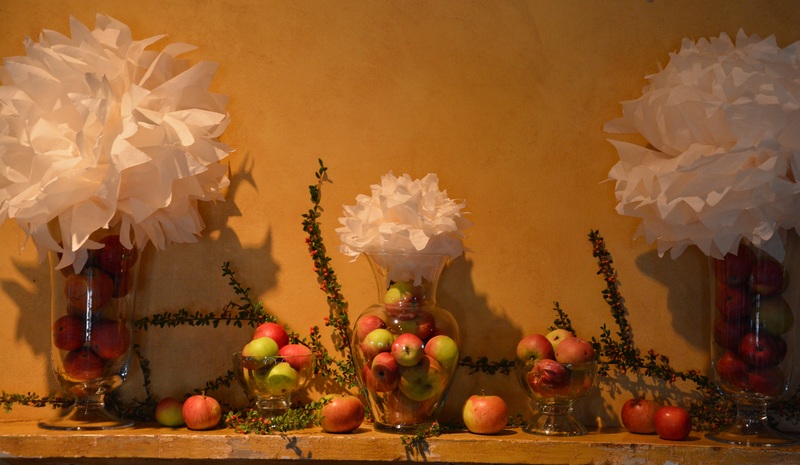 Local apples in vases make gorgeous mantle pieces. The puffy balls are made of tissue paper and floral wire. The framed signs were placed at every food station. We decorated shelves with harvest-themed pumpkins, flowers and leaves. It added a lot of color and texture to the space. Our employee luncheon was a huge success! We know how much food brings people together and we really enjoyed our harvest-themed meal. How are you celebrating this season? How do you plan on decorating? Click here to begin shopping for your harvest party! This entry was posted in Halloween, Tailgating and tagged autumn decorations, decorating ideas, fall decorating, fall luncheon, fall themed decorating, Halloween, Harvest, harvest party, ideas for luncheon, pumpkin decorations, robert rothschild farm. Bookmark the permalink.